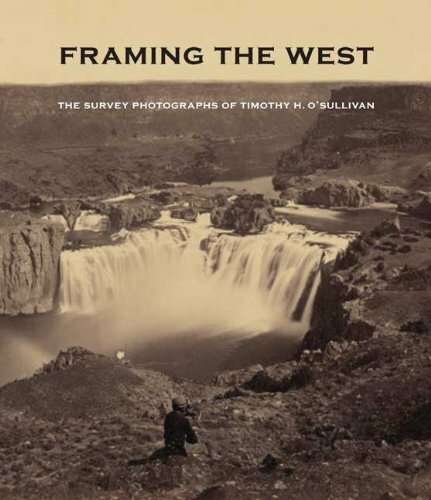 The image of the untamed American West persists as one of our country’s most enduring cultural myths, and few photographers have captured more compelling images of the frontier than Timothy H. O’Sullivan. Trained under Mathew Brady, O’Sullivan accompanied several government expeditions to the West—most notably with geologist Clarence King in 1867 and cartographer George M. Wheeler in 1871. Along these journeys, O’Sullivan produced many beautiful photographs that exhibit a forthright and rigorous style formed in response to the landscapes he encountered. Faced with challenging terrain and lacking previous photographic examples on which to rely, O’Sullivan created a body of work that was without precedent in its visual and emotional complexities. The first major publication on O’Sullivan in more than thirty years, Framing the West offers a new aesthetic and formal interpretation of O’Sullivan’s photographs and assesses his influence on the larger photographic canon. The book features previously unpublished and rarely seen images and serves as a field guide for O’Sullivan’s original prints, presenting them for the first time in sequence with the chronology of their production.